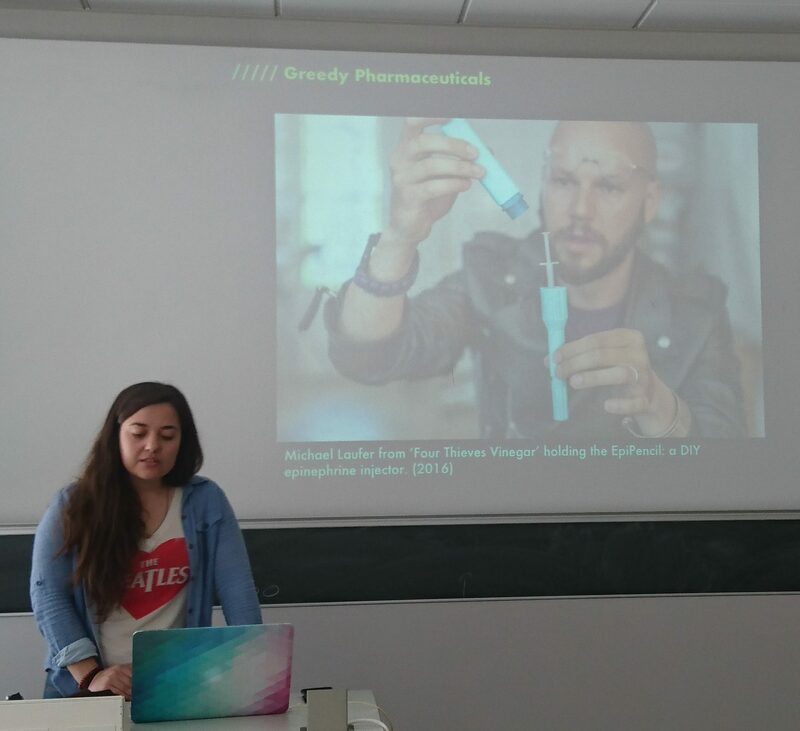 Making as Dissent: The Performance of Producing Pharmaceuticals in Biohacking (Gabriela A. Sanchez, University of Geneva, Switzerland) looking at laboratory protocol to develop insulin and the researchers want to use a 50 years protocol. The Open Insulin Project at the Counter Culture Lab – Maker, DIY bio, citizen science – inviting people to participate in the creation of technoscience. There are similarities between different groups. Thinking about “Impure Science” by Epstein from 1996, looking at the AIDS campaign – the DIe-in at the FDA. The challenged scientific authority. Th Act-up network worked with the medical establishment. The Open Insulin is different – the do things differently – the biohackers are doing a performance, which is not saying that they will be creating a pharma class drug. They are creating stories and narrative. Looking at how the open insulin work we can see three narratives. Greedy pharmaceuticals is the first narrative and arguing about the costs of insulin and costly monopoly of 3 drug companies and activities that block. The pharma insists that they are doing their best -but there is an increased price of drugs significantly. The second story is about empowering patients – Laufer’s alternative of an epinephrine injector (2016). The media is structuring the story around DIY approach as a way to addressed times of needs, with stories from wartime – perceptions of becoming self-sufficient. The concept of open sourcing diabetes therapy as a way to provide a way to remove the financial incentives. Finally, there is the narrative or alternative science – bring the focus on biohackers as challenging and disruptive to big pharma. The biohackers assume a budget of $16,000 and volunteers effort, the equipment is recycled and second hand, and some other bits that are 3D printed – e.g. the Arduino Open PCT. The people on the projects are presenting their background and degree – many have PhDs. The identity of participants is not mentioned in media. The place of work is the Omni in Oakland that link it to the Occupy Oakland Protest. The stories point that the biohackers engage in the performative role of community scientists, working on a shoestring budget, and they materialise a different vision of making drugs and making the critique of society, capitalism structures, and the pharmaceutical industry practice. Using the narrative of the biotechnology industry that insulin. The different sites of biohacking are having an influenced by the location of the laboratory – in the SF area, another famous lab is more educational and focus on hardware and software. There is an element of promoting biotechnology but it is culture dependent. The Politics of Data in the Intersection Between Hacker Culture and Citizen Science (Christopher Kullenberg, University of Gothenburg, Sweden) merging citizen science and hacker culture and where do they link – looking at different projects that are in citizen science since 2014 in Gothenburg – and looking at collecting and using data for a societal change. Building on the paper on Citizen Science as Resistance – when you use citizen science data to promote change. In this paper, he argue that it’s a power form of using data. What is the role of technology in citizen science? from the perspective of dissent – this is coming from the hacker culture, and hacking initiative is seen as dissenting practices, possibly anti-social. The description is not accepted by hackers – it’s constructive, building new knowledge, learning about technology. 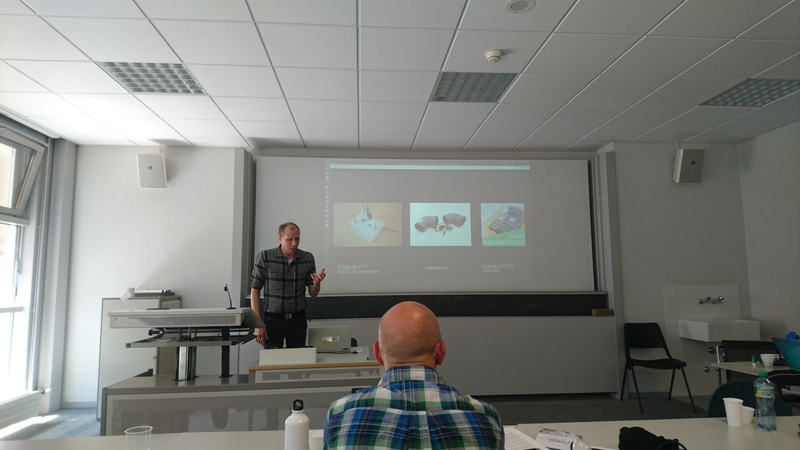 The meeting between hacker culture and citizen science is linked to different tools – three cases: Luftdaten.info, Public Lab DIY microscope, and Safecast Geiger counter. Approaching the project on the basis of digital traces. The approach to technology looking at the concept that technology is locked from us unless it is breaking down. We have devices that we don’t understand – the hacker culture is an active disassembly of technology to learn about it, not because it is broken but active breaking down. Opportunity to collapse local/global differences and building on Latour (2013:221) “We shall never find the mode of technological existence in the object itself, since it is always necessary to look beside it: first, between the object itself and the enigmatic movement of which it is only the wake; then, within the object itself, between each of the components of which it is only the temporary assemblage”. What is happening beside the gaze at technology. We can ask about resources – who can afford building technologies? What values are embedded – open/proprietary? is the knowledge complex or simple? and the question of truth or data quality – is the instrument accurate enough. Sensors for measurement station for air quality that is doing measurements of PM2.5 and PM10. The concentration of sensors in different parts of the world. The project started in Germany, in Stuttgart. The project was transferred to Sweden (the project webpage is only in German). Possible to compare Sweden and Germany – the data also allow analysis of who adopted the technology: price, knowledge of setting up, etc. Noticing which areas are covered – looks like that data is collected in middle-class areas. It is also possible to look at social media in facebook groups. The analysis shows how knowledge is transfer – it is based on actual experience and tacit knowledge: German organised a local workshop, and the questions online provide further information. Sensors are cheap and provide false results – e.g. when humidity is high. This allow showing the values – environmental value, public health concerns, also open source, open hardware, sharing results. In terms of actors and networks, we can see low barriers to make the city join in and get help in calibration from officials. There is a way to link the Mertonian norms – Communalism vs open hw/sw, Universalism vs open standards, disinterestedness vs cheap not for profit, Organised Skepticism through community peer-review. See dissent as a relational concept, and the scientific method is a powerful intensifier of dissent science it generates positive knowledge – seen as apolitical. Discussion day 2 – some of the issues that emerged today: studying the way in which groups of people are doing things in transnational ways across boundaries and the city which operates locally, so there can be institutionally mismatched. Another aspect is to think about patients groups and their interests, such a patient owned organisation that lead to pharmaceutical reorganisation and speculate about it. Dissenting scientists many time reabsorbed in the public system or in UN organisation and even had to move countries. In the US attacks on scientists personally are not new, and there is far less purchase by evidence and official data – e.g. noise and air quality data from the city own instruments are being ignored. There are challenges to the norm of science that we’ve seen in Argentina and doing it alone and without a network is a very risky approach. Potential questions: is science a tool that is central to dissent? Can academics challenge citizen science, or is citizen science challenging mainstream science? There are also question about science as data, facts? Those four questions are framing a large research project and under what conditions the questions play out? There are lots of things happening, and try to reduce them to a very narrow range of issues. Many scientists taking scientific techniques and reject other features, such as the role of it in progressing society, etc. There is also aspects of what expertise and counter-expertise we get inside institutions and outside institutions – people from outside science having local knowledge, or people that travel all the way to become scientists, people who developed skills insides and travel outside (biohackers). The “counter” is depending on context: Germany or Bulgaria where it is about challenging the city, whereas in Sweden it is all about working together between the city and the people who build systems – “the same citizen science is counter and non-counter” (or is it not the same?). It is also about thinking about expertise – need to be understood in a specific place and time, and not making them “immutable mobiles”. How to call people? people are presenting themselves in different names – even using different CV depending on context. Need to consider how science communication needs to transform to support those changes. In terms of the role of universities and colleges – there are in the US emerging practices in colleges that are doing things through undergraduate education – small colleges provide a scope for critical research when they are not under pressure of research. There are also anxieties about employment, changes to neoliberal structures in universities in the US, Europe, and India mean that the scope of getting students engage through their science to societal issues is more limited. Shannon Dosemagen | Public Lab, United States – working with Public Lab, started as 8-9 years ago with the BP oil spill and done community organisation and working on different issues – from kayaking to informal science communities. Working with communities in Louisiana with experience of the Bucket Brigade issues with refineries. Using data that was captured from community effort and then thinking what the data will be used for. The BP spills provided an opportunity to mapping reports of the experience from it in the Gulf. Ushahidi wasn’t a good tool – giving information without the ability to respond. Started doing community “satellites” – balloon and kites mapping 2000-300 fit to capture the situation and that is because there was a restriction of flying over the area. Building with it a robust archive of information of community views. Public Lab is about making technology useful: for an actionable purpose, top-down citizen science, and establishing alternatives. Dinesh Abrol | JNU-STEPS, India – journey as people science movement activists since 1975. State led science is much practised. In parallel to other activities in different countries, with rural science. Kerala model worked on mobilising science teachers and educating and it led to a movement in 10 states after 1984 – Bophal was an important catalyst and creating science activism that is done in people’s language, abuse of science and technology in pesticides and chemical releases. Not only observe and passively react in mainstream science and technologies but also create new institutions and programmes: a new notion of development itself. There was lots of local knowledge and artisan abilities and started on how to upgrade capabilities, especially the lower class. Taking from the freedom movement ideas and engage with it. Principles: science be reflexive, responsible innovation, encourage participation of all stakeholders (also through All India Science Network), balancing and changing power relationships. Then developing and transforming science capacity, and need to understand the decolonisation – and lots of learning since the 1930s. Need to understand and deal with new colonialism through science. 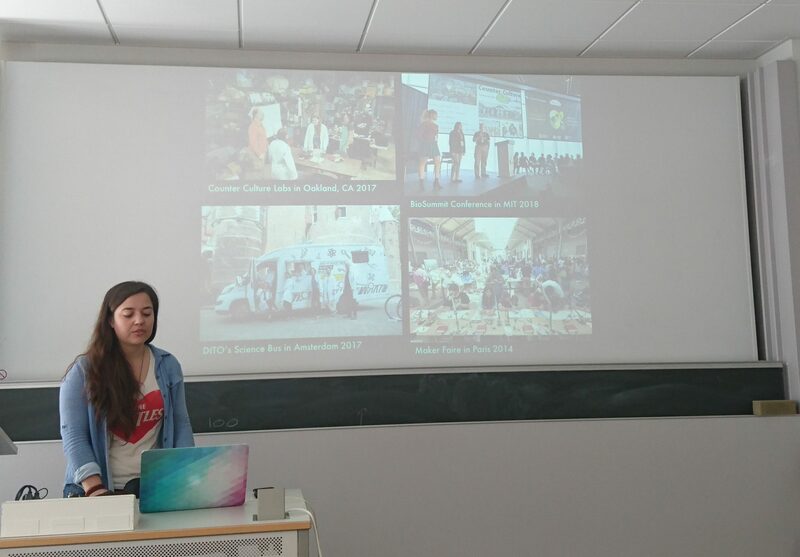 Muki Haklay | University College London, United Kingdom – covered the background participatory mapping and ExCiteS, and the use of values and STS in our work. In particular, the progression from Public Access to Environmental information to PPGIS, then to Citizen Science in environmental justice context, the merging of VGI and understanding of crowdsourcing through engagement with OpenStreetMap, and finally the creation of the ExCiteS group. C. Shambu Prassad | IRMA, India – started journey in 1984 and influenced by Bophal and went to be a mechanical engineer. Ask question about technology and development and following the People Science Movement. Looked at science and technology paths in India and then moved into learning. Exploration of artisanal techniques of spinning cotton that showed different potentiality of technology and the history of cotton. The history of technology and science can be helped in understanding what we are seeing now, such as the impact of using the America cotton variety in the industrial revolution, which didn’t match the Indian variety. Interest in innovation in the margin, and exploring controversies around issues – we can see dissent and marginality (e.g. soil experts in the green revolution). Explore how is that starting to change scientific practice. We need to look beyond the citizens and their experiences. Controversies are happing in journal and blocking of publications of a certain type as a way to influence the discourse. Kelly Moore | Loyola University, United States – trained in looking at social movement and mostly on the structural way. Became interested in political movement that is about knowledge. Some activism aspects in life (bike) and public space movement in NYC, also in Green Mapping project with Wendy Brewer. Involved in a campaign about O’Hare airport and impact and learn about technopolitics and how power get organised and how unions can push it away. Worked on “Know your rights” in videos that are helping people to address issues in surveillance. We haven’t covered enough decolonisation and work for people without power and justice projects, and more scholarship and engagement on understanding on what count as a citizen science. There is lack of engagement with people in the field with scholars in science studies so trying to copy models between places instead of trying to understand local context. Follow up discussion: Some open issues: to what a city is a great place for mobilisation, and how it addresses global issues. Elements of governance, municipality, NGOs, good public transport, exposure to inequality, public spaces to meet, and social networks. There are examples from Delhi of suburbs that create marginal residency can be very difficult to engage but it is possible to do citizen science. For city and climate change, there are impacts of dredging and worsening impacts of storms. however, the protection is at the city level. Hyperlocal to the regional is critical. Questions about dissent – how to be explicit about the scale in which things are working, and rejecting that the national is always the right level. A city is a geopolitical unit, and the urban might be another way – networks of places that can be linked together. Need to bring in to these issues gender, ethnic – issues of knowledge from the margin (Logan Williams). There are issues of science and what it should be done – e.g. doing a participatory activity to address trauma instead of dealing with infrastructures. There was an example of the hacking air quality sensors that are not represented in marginalised groups, this is something that needs to take ideas of language, funding. The scientists abilities to deal with issues is coming from the political regime, e.g. issues with NGOs funding? Considering the power and considering how to hack the situation and discuss things that they couldn’t discuss without it. 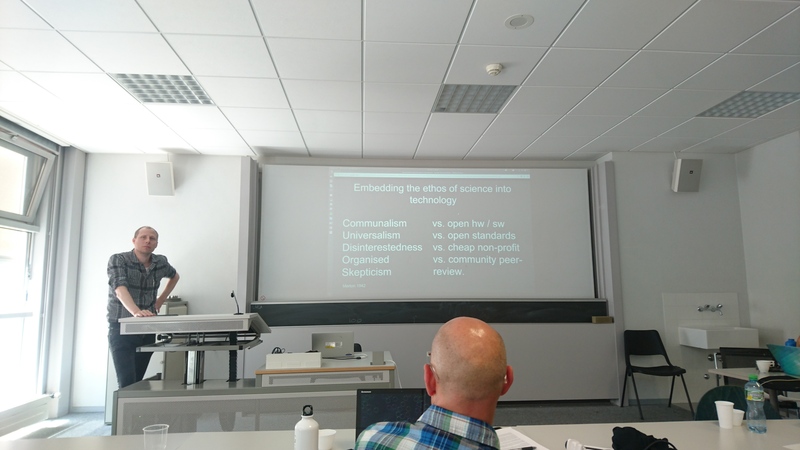 The literature on participatory research, the pedagogy of the oppressedScience &amp; Dissent – Day 2 – Afternoon session, round table and conclusion , participatory mapping are not appearing in the history of science literature.